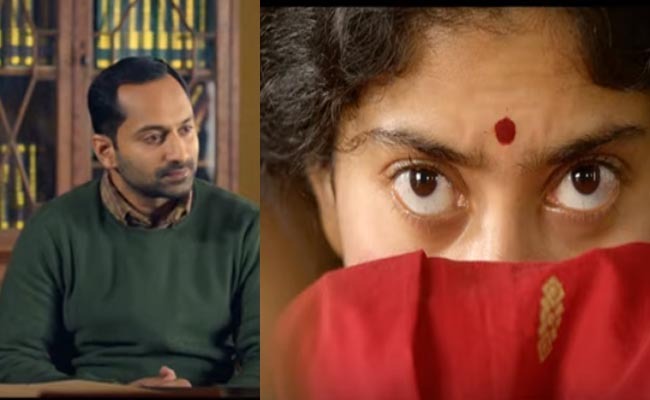 The trailer of Fahadh Faasil – Sai Pallavi starrer Athiran hit the media in style. The psychological thriller has been really appreciated by the social media, which found the technical side of the project to be engaging enough. Introducing almost all the major characters of the project, the trailer however didn’t reveal much about the storyline of the project. Interestingly enough, many were of the opinion that the trailer suggested the movie to have some striking resemblance with that of Leonardo De Caprio starred Shutter Island. Roaming around a mental asylum, the movie has got Fahadh essaying the role of a doctor, while Sai Pallavi is appearing as a patient. The trailer also suggested an interesting background for the character of Sai Pallavi. The Vivek directorial will also be marked for being the debut project of music composer Ghibran in Malayalam film industry. The movie is been bankrolled by ‘Century Investments’.